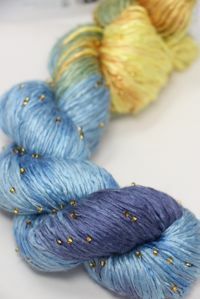 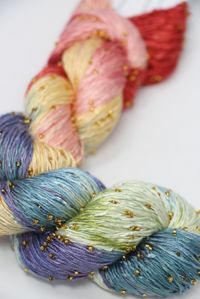 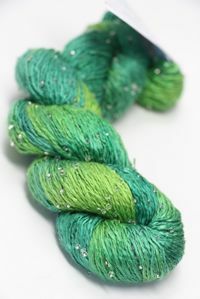 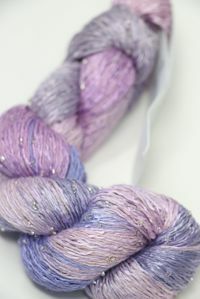 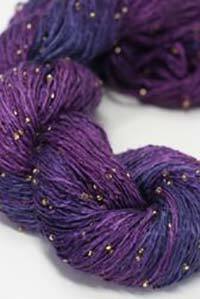 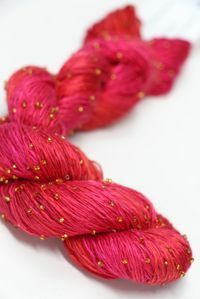 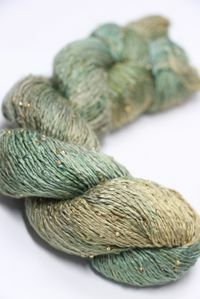 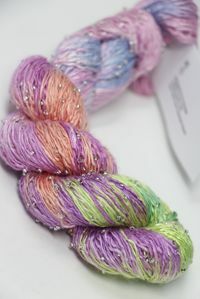 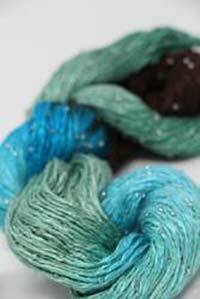 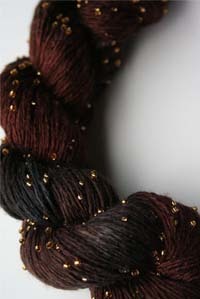 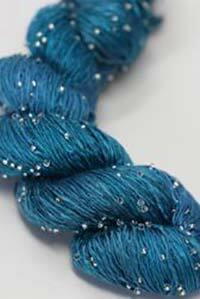 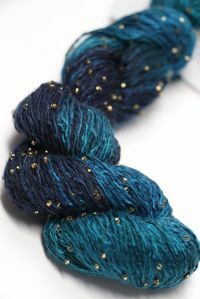 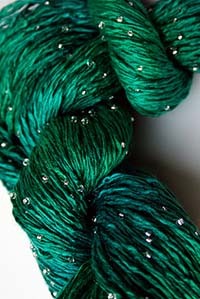 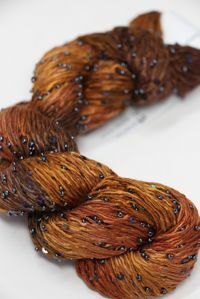 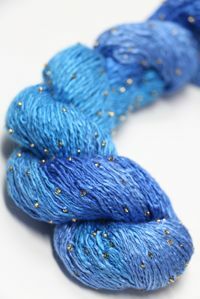 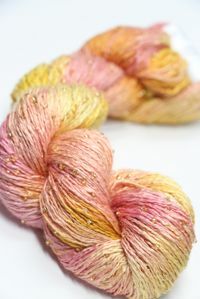 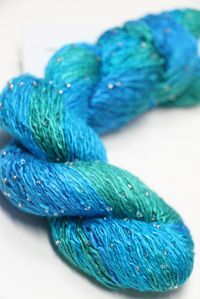 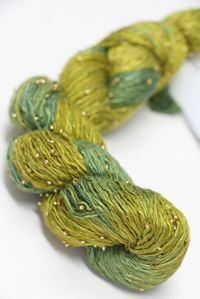 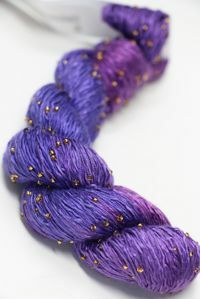 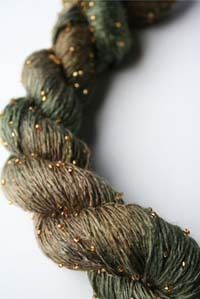 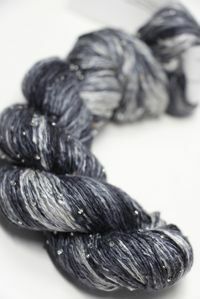 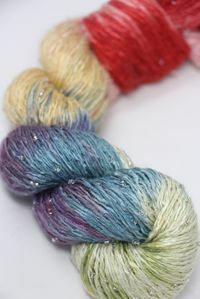 Artyarns newest delight - handpainted silk with delicate murano glass beads. 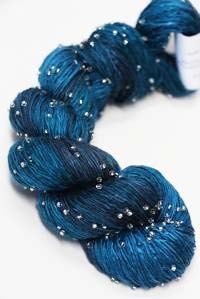 160 Yards of beaded love. 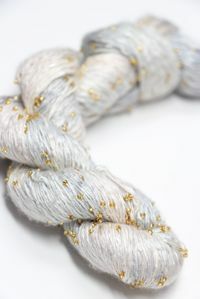 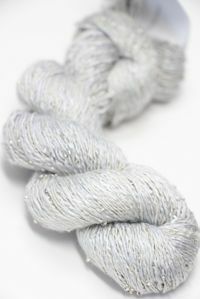 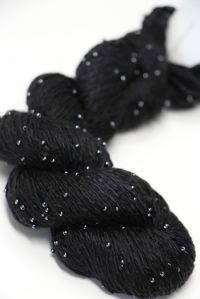 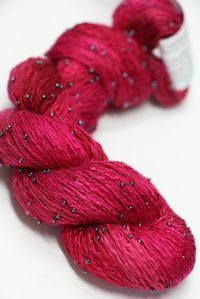 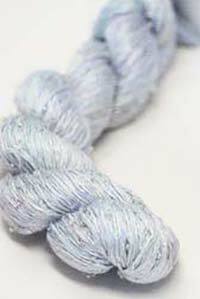 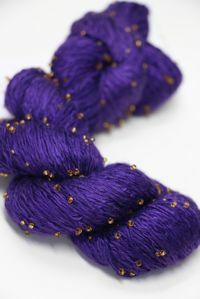 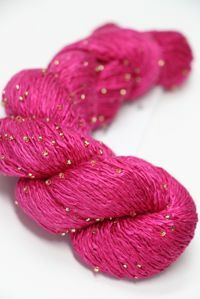 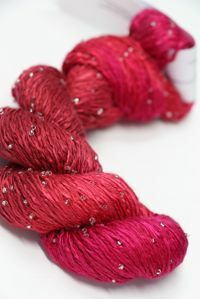 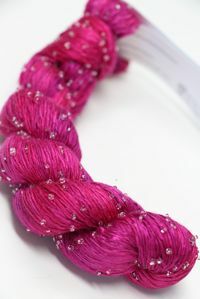 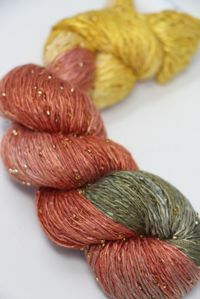 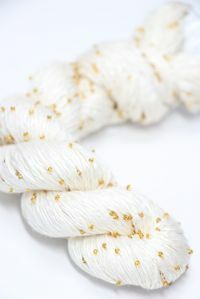 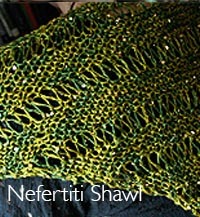 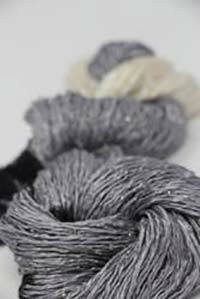 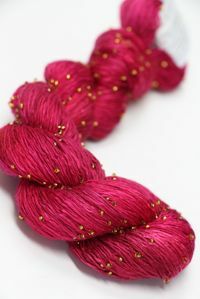 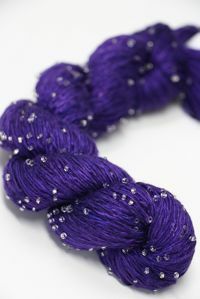 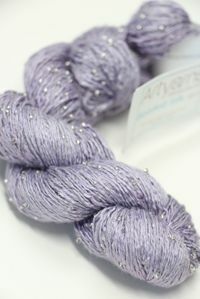 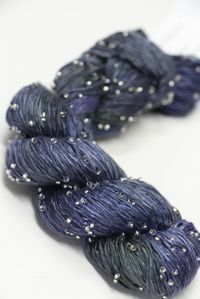 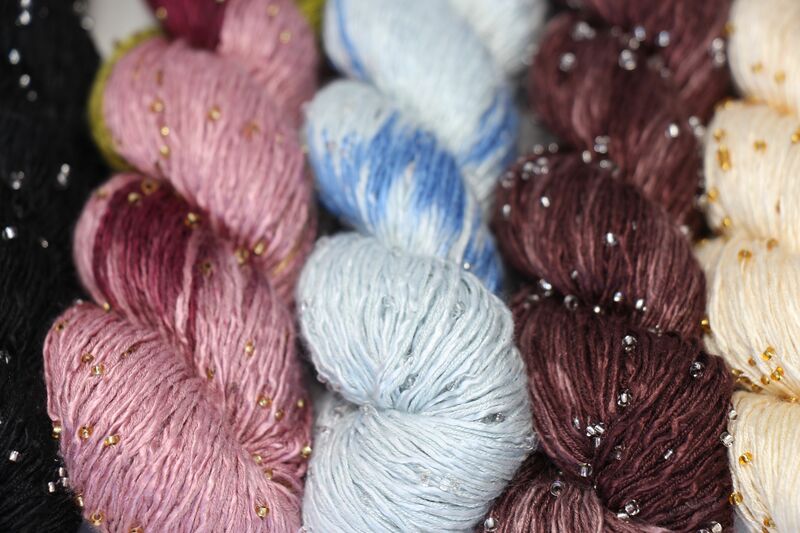 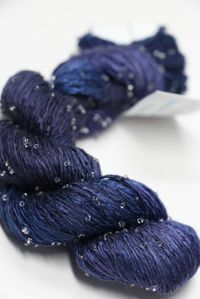 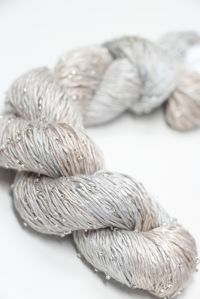 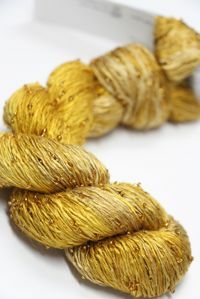 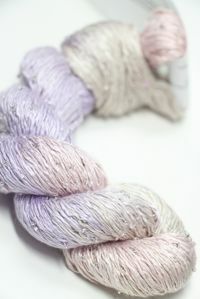 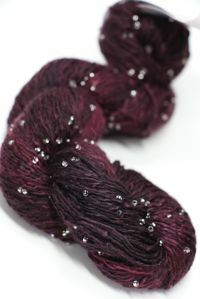 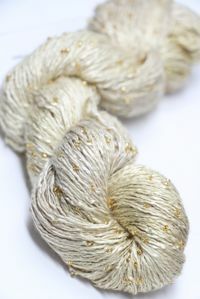 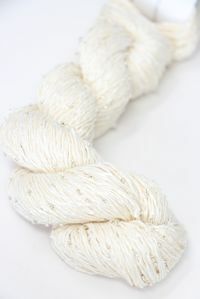 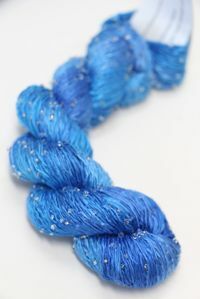 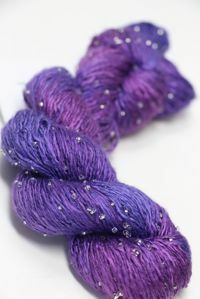 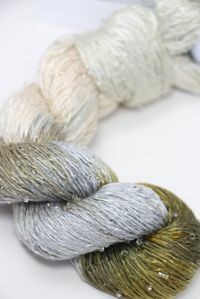 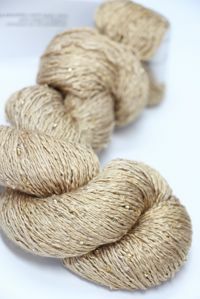 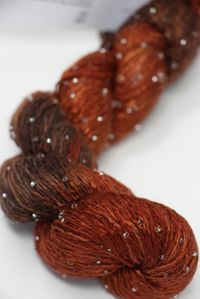 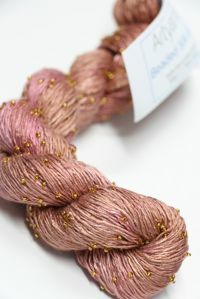 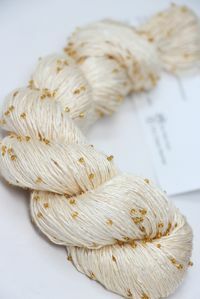 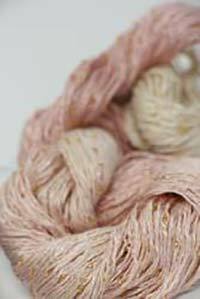 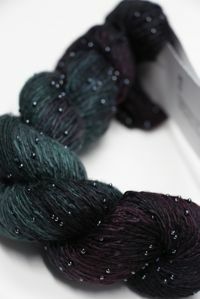 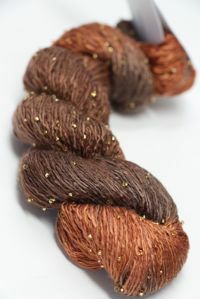 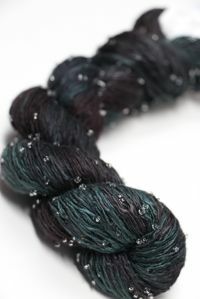 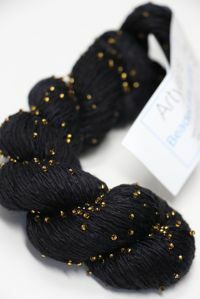 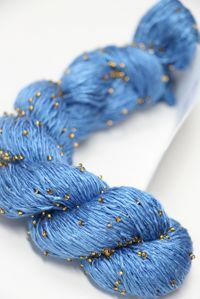 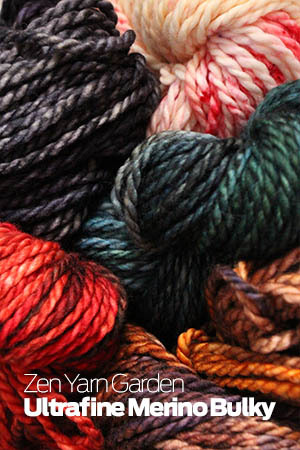 Crisp, shiny - wonderful for lightweight shawls or even crocheted jewelry- this is a stunning choice for any project! 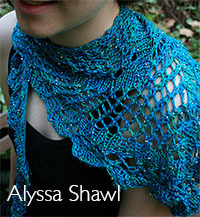 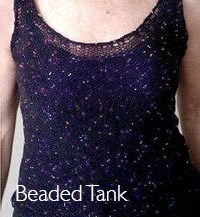 And with every purchase - a free pattern Ebook witha fabulous Ebook for 1 - 5 skein projects for this yarn!